If you're unable to log in to Helm CONNECT, you might have to reset your password. From the Helm CONNECT web site address where you normally log in, click Need Help? Enter your email, then click Reset Password. You should receive an email that contains a ‘Reset password here’ link within a few minutes. Click the link. This will take you to a Reset Password screen. Type a new password, then type it again to confirm it. You should now be able to log in with your email and new password. NoteIf you don't receive the email, check the spam or junk email folder. 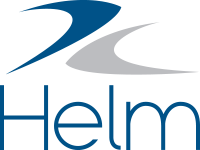 If the email isn't there, ask your system administrator to check that your email is entered correctly in Helm CONNECT. If you still can’t log in, contact Helm Support.